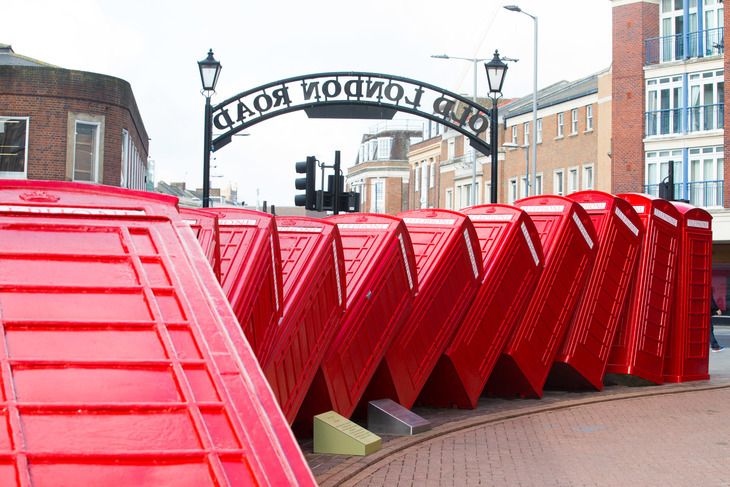 Kington upon Thames' famous toppling telephone boxes have been restored, ahead of their 30th anniversary. Out of Order, by David Mach, arrived on Old London Road in Kingston in 1989 — much to the amusement, and bemusement, of locals. 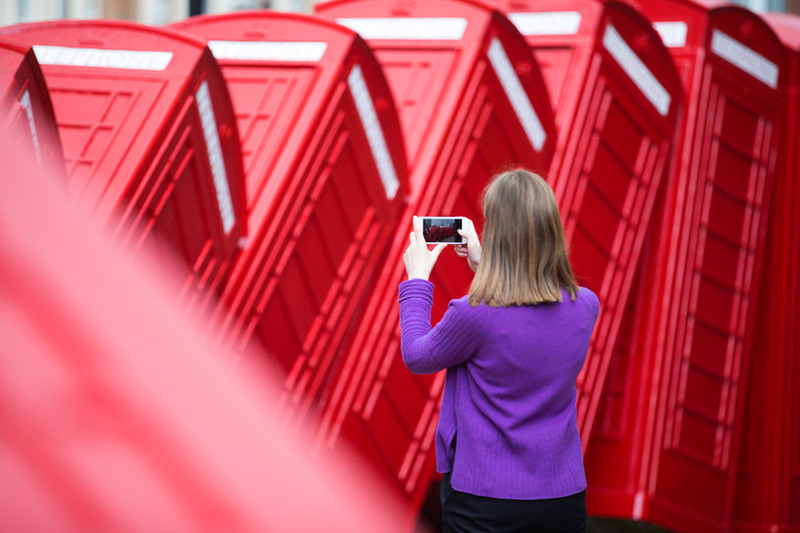 Soon, the artwork — consisting of 12 iconic 'phone boxes' toppling like dominoes — was a tourist attraction in its own right; people coming to see this very quirky, very British artwork in the flesh. It started appearing on postcards of Kingston, becoming as much a part of the landscape as its picturesque market square and historic Clattern Bridge. Over time, Out of Order has become somewhat faded and tatty. 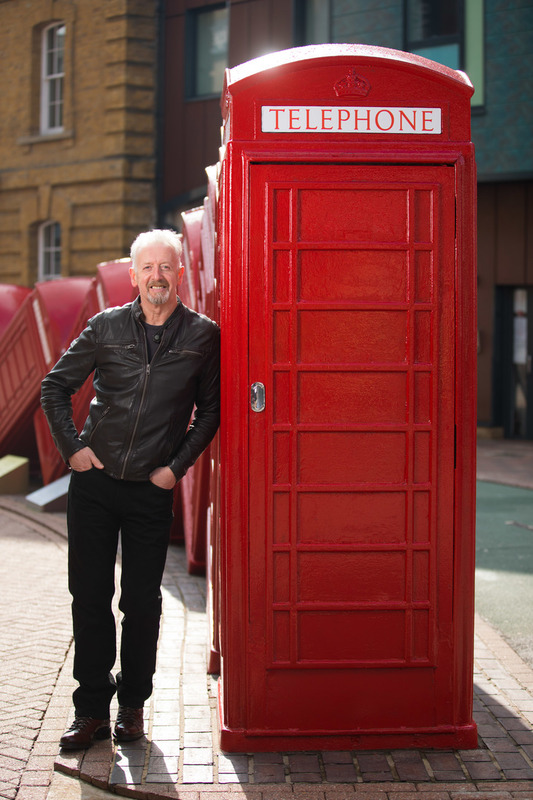 Its fresh cherry red paint job restores it to the vibrant artwork it once was — a sculpture worthy of sharing the same hall of fame as Nelson's Column and Eduardo Paolozzi's sculpture of Newton outside the British Library. I'm very happy to see Out of Order being refurbished. It's one of my best outdoor sculptures. I love these boxes and isn't it funny that even in these times and although they were removed from the British landscape, I feel they still bind us as a nation. 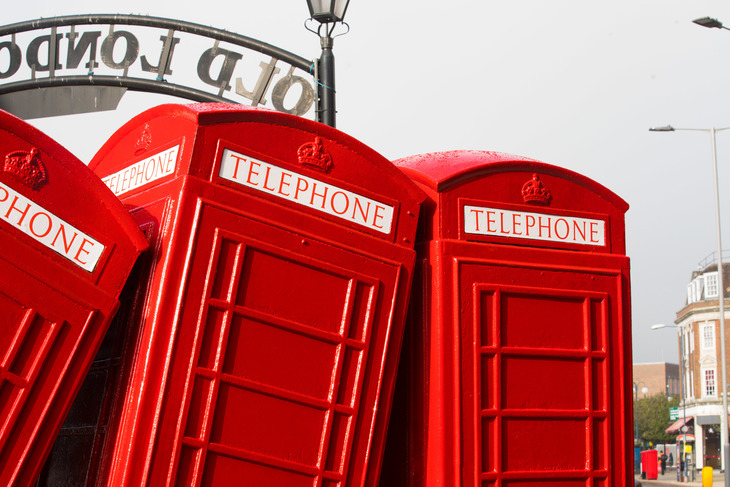 We do wonder, in the sculpture's three-decade history: has anyone ever tried to make a phone call from it?